The premise of this book is pretty simple, yet many of us spend our lives trying to complicate, to fun from it, to deny it, to defy it and to change it. Your life is a mess. You have a mess. You are a mess.nnWe are taught to clean, hide, put away, sweep out, pretend about and generally just get rid of our messes. And for good reasons. A mess is, well, a mess. Can be ugly. Nasty. Itchy. Painful. Yucky.nnLoving Your Mess is about accepting, embracing and loving your mess exactly as it is right now. 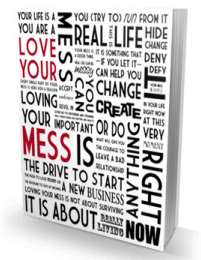 Loving Your Mess is what will give you the courage to leave a bad relationship, the drive to start a new business, the push to lose weight or the discipline to give up smoking. Loving Your Mess is not about surviving; it is about really living. Hi, I'm Allison. 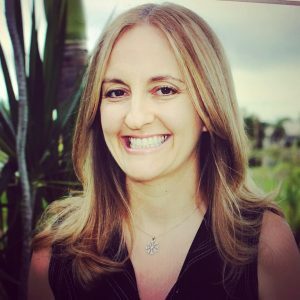 I am a writer, a teacher, an author, a mom, a seeker of information and answers, and, like you, a lot more. I work primarily as a writer and teacher for corporations who have a lot to say but no one to help write it. Let me know how I can be of service.